News that Metallica would perform with Lady Gaga at this year’s Grammys came as a shock but it turns out it was a pretty organic decision. As Gaga told Beats 1 host Zane Lowe, she was chilling at Bradley Cooper’s house, as you do, and Metallica drummer Lars Ulrich was there. They were just chatting and, boom, before you know it they decided to perform at the Grammys together. Gaga is a huge fan of the band, calling Ulrich “amazing”. “I’ve gotta tell you something: I went to see [Metallica] live,” she went on to say. The scenario of Gaga, Cooper and Ulrich hanging out isn’t as random as it sounds. Cooper is friends with Ulrich and he’s also currently filming A Star Is Born with Gaga. The performance, however, is sure to be surprising. 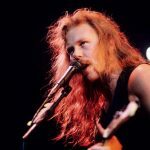 Metallica are yet to reveal what songs they’re going to perform. 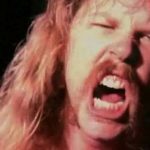 They’re up for Best Rock Song for Hardwired so it’s not unlikely that they’d choose to role that one out. Gaga on the other hand is not nominated as her album Joanne wasn’t released in time for consideration. Just a few days ago she performed the Super Bowl half time show. Her Grammys performance won’t be the first time she’s ventured into the rock world. She used to be in a Led Zeppelin cover band. Hear her interview on Beats 1 where she discusses the Metallica collab below. 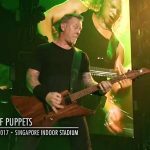 The post Here’s How The Metallica And Lady Gaga Grammys Performance Came About appeared first on Music Feeds.